Hearing about somebody’s favourite moment during their holiday could probably tell you a lot about their personality. In the case of Birdy (whose real name is Jasmine), her standout moment was when she visited the Cat Cafe in Japan. Shy, quiet, and reserved, it was clear to all present at the press conference that Birdy was not your typical teen artiste celebrity. When asked about her favourite track off her latest album, Beautiful Lies, the singer named Unbroken as the one most significant and meaningful to her. “Unbroken sums up everything about what I’ve learned. A collection of experiences from the past and the present.” she says nostalgically. The song, with its crooning melodies and semi-mournful, semi-hopeful, lyric “Everything you once loved lies unbroken / Many moons will light us / Many moons will guide us” gives us then a better look into what the singer holds close to and takes inspiration from. Throughout the media event, the singer spoke in a low, quiet, almost unassuming voice. Listening to her, you wouldn’t be able to believe that she was the same person whose cover of Bon Iver’s Skinny Love garnered over 100 million views. 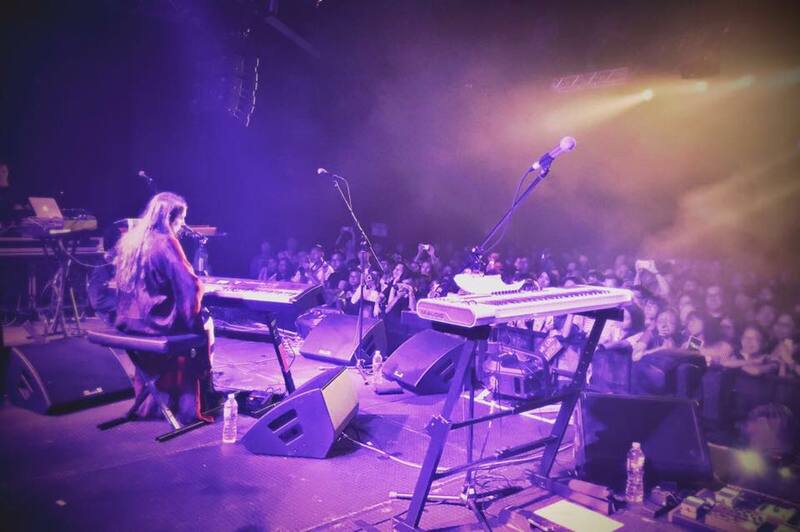 True to her grounded nature, Birdy’s one and a half hour set consisted of barely any dialogue with the audience. Instead, the singer and her musicians attempted to communicate through their music on stage. The set opened with Growing Pains, the first track off Beautiful Lies. Catchy and attention grabbing, Birdy dived right into the performance, immediately allowing her vocals to fill up the hall. If there was any doubt over her credentials as the UK Open Mic Talent Contest winner, they were cleared pretty quickly. Throughout the rest of her performance, Birdy’s voice never wavered and if anything, only seemed to grow even stronger in strength and volume. Notably, her cover of People Help The People stood out among the others. Forget what you think you may know based off listening to the original studio track. Performed live, the 20 year old’s voice somehow seemed to reach out from the speakers to grab onto you. It’s never easy pulling off an original released 9 years ago sung by Cherry Ghost but Birdy not only manages, but does it with a voice full of panache and pathos. Birdy’s remarkable vocals were not all that impressed that night. Her band of musicians functioned less as a band and more like an ensemble, seamlessly layering their parts and sounds upon each other. Throughout the set, the limelight was never just focused on one performer, with each musician allowing their own individuality to shine through, blending well together. The instrumental ending of Terrible Love was particularly powerful. Watching those on stage turn to each other pouring their emotions into their instruments, one would be hard pressed not to feel even a slight tingling of goosebumps. Nearing the end of the set as the band plunged into the opening of Wings (to the crowd’s delight), we noticed the guitarist spontaneously break into a half-dance, half-hop jig, all the while with Birdy watching and quietly laughing to herself. At that moment, we couldn’t help but get the feeling that the band was truly enjoying making music for the sake of itself. Had there been no audience, the band probably would have enjoyed themselves just as much. In an age where showboating, visuals and gimmicks sometimes make more of the performance than the performance itself, shows as sincere and musical as Birdy’s are becoming increasingly rare. Be that as it may, it was a beautiful performance, and we’re glad we were there to watch it. 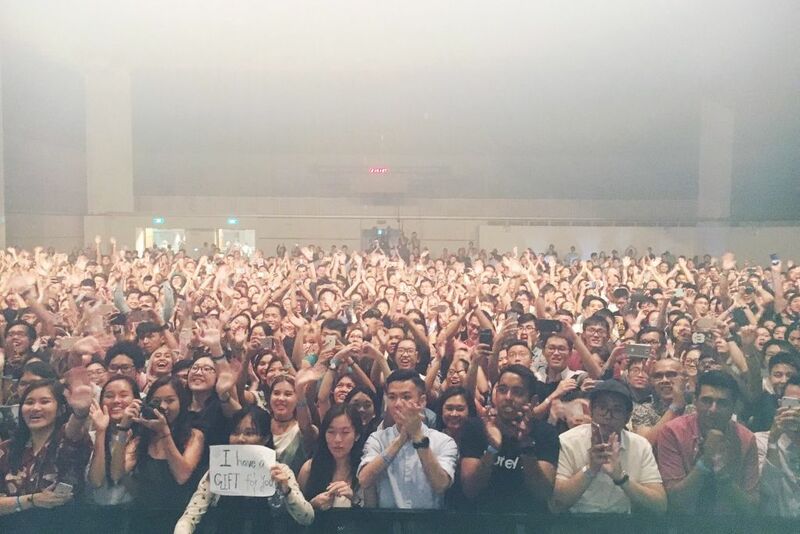 Birdy joins The Gathering on 2 August 2016, performing her first ever live performance in Singapore at the Suntec Singapore Convention & Exhibition Hall 606. Prev post P. Bistro: Making Healthy Living Deliciously Good Next post Suicide Squad: Exactly What Went So Horribly Wrong?